Toni & Guy Products Are Used Backstage At London Fashion Week The Deep Barrel Hair Waver is part of Toni & Guy Hair Meet Wardrobe - a philosophy born from a devout love of hair and fashion and the belief that style shouldn't be just about the clothes you wear - but the entire look from head to toe and the attitude that goes with it. It heralds a new dawn in hair styling where people have the power and confidence to push the boundaries of their own unique style. 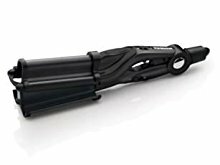 Ultra Deep Plates This 32 mm deep barrel ensures this waver is all about deep waves, whether it's the beach or bohemian chic look. 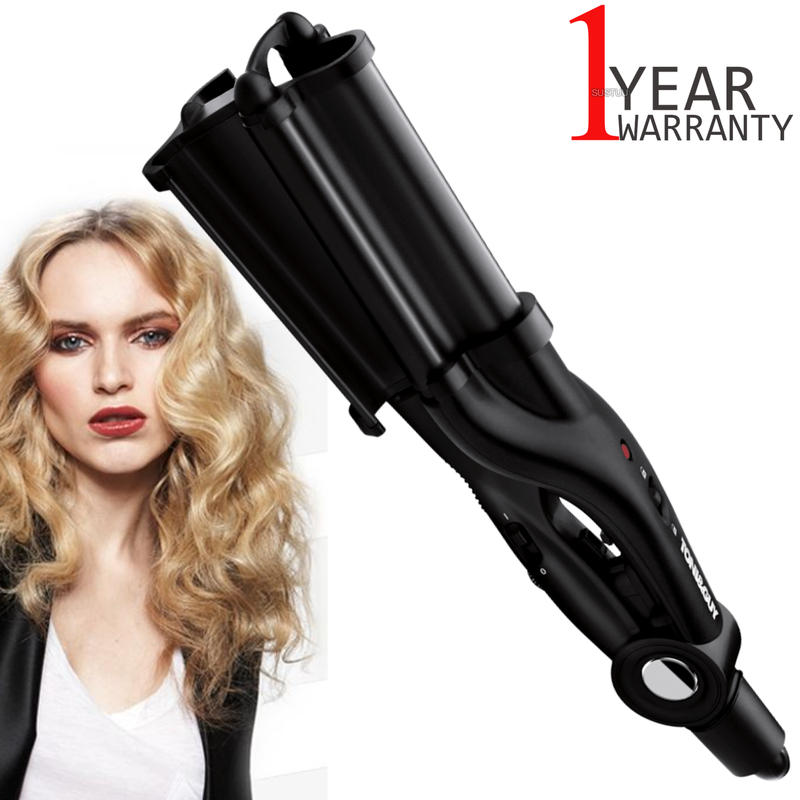 200C Variable Heat This Deep Barrel Hair Waver heats up in seconds with variable temperature control and a maximum temperature of 200C, to suit all hair types. Tourmaline Colour Protection Designed to protect your hair and colour with the Ceramic Tourmaline plates, its Colour Lock Technology is developed to enhance shine, smooth hair follicles and lock in colour as you style. 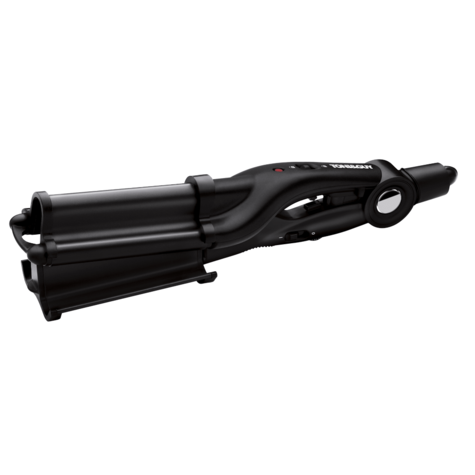 Superior Performance For Style On The Go Fast heat up and hinge lock ensure you can style with confidence and store your appliance wherever you are Toni & Guy Deep Barrel Waver TGIR1928. 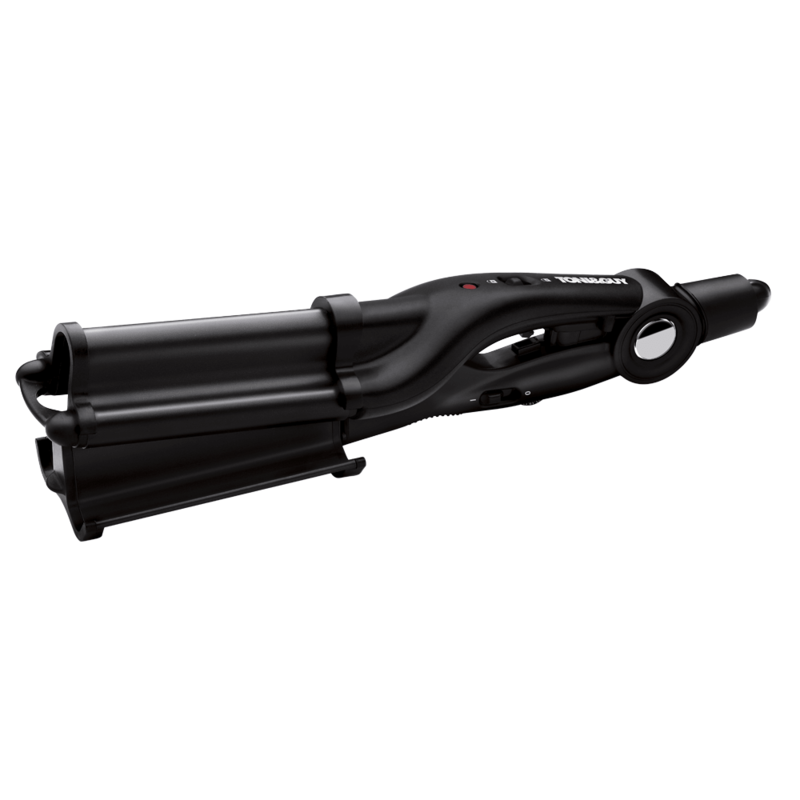 This 32 mm deep barrel ensures this waver is all about deep waves, whether it's the beach or bohemian chic look. This Deep Barrel Hair Waver heats up in seconds with variable temperature control and a maximum temperature of 200C, to suit all hair types and has a 3 m salon chord for ultimate styling freedom. 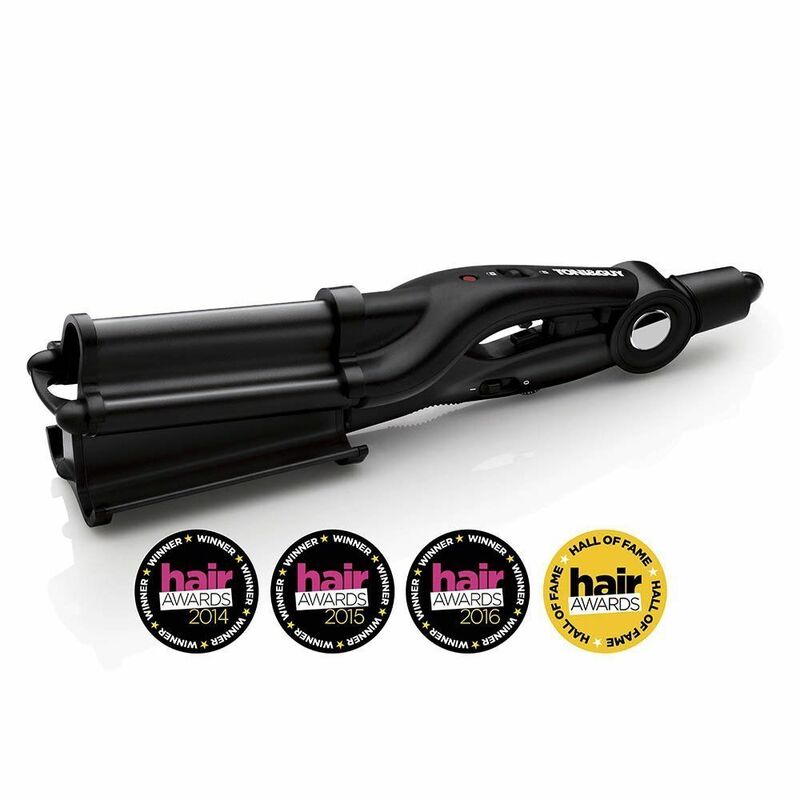 The Deep Barrel Hair Waver is part of Toni & Guy Hair Meet Wardrobe - a philosophy born from a devout love of hair and fashion and the belief that style shouldn’t be just about the clothes you wear – but the entire look from head to toe and the attitude that goes with it. It heralds a new dawn in hair styling where people have the power and confidence to push the boundaries of their own unique style. Fast heat up and hinge lock ensure you can style with confidence and store your appliance wherever you are. Buy with Confidence from a Toni & Guy Authorised Dealer and All Purchases come with a VAT Receipt.